What Movies to watch before you hit THE CITY OF LIGHTS! Whether you're heading to Paris or just need to take a little imaginative trip there; here are our most coveted Paris films! Funny Face is a 1957 American musical/romantic/comedy containing assorted songs by George and Ira Gershwin. Audrey Hepburn plays a shy, intellectual bookshop clerk turned "new and fresh" fashion model! The color scheme is beautiful and the dance scenes just plain make you happy ("Think Pink!"). A must-watch for lovers of fashion and photography, as Fred Astaire's character is based off of famous photographer, Richard Avedon! In fact, it is Avedon himself who set up most of the photography for this film, including the famous face portrait of Hepburn, unveiled during the dark room sequence. How to Steal a Million is a 1966 heist /comedy starring Audrey Hepburn. The picture is set and was filmed in France, though the characters speak entirely in English. Hepburn's timeless wardrobe was designed by Givenchy. The scene where she is wearing a black chantilly lace dress, mysterious eye mask, and dramatic silver eye shadow is an iconic look that still has fashion girls in envy! Amelie is a 2001 whimsical romantic comedy which depicts a contemporary Parisian life in the ever-charming Montmartre neighborhood. 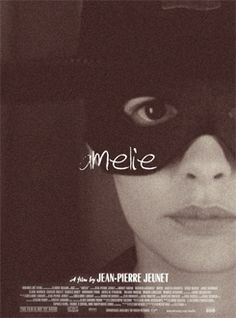 The main character, Amelie, has a realization that she wants to dedicate her life to making people happy, and does just that though-out the story. A must-see film for it's story-book warm color palette and amazing musical score! Charade is a 1963 Technicolor American romantic/comedy/mystery film starring Cary Grant and Audrey Hepburn. It is often said to be one of the last ‘Classic Hollywood’ feature films and deemed by fans "the best Hitchcock film Hitchcock never made." It's worth a watch just to see Hepburn's attire and her Paris apartment (even if it is empty)! Moulin Rouge! is a 2001 Australian–American jukebox musical comedy directed, co-produced, and co-written by Baz Luhrmann. It tells the story of a young English poet/writer who falls in love with the courtesan, Satine. 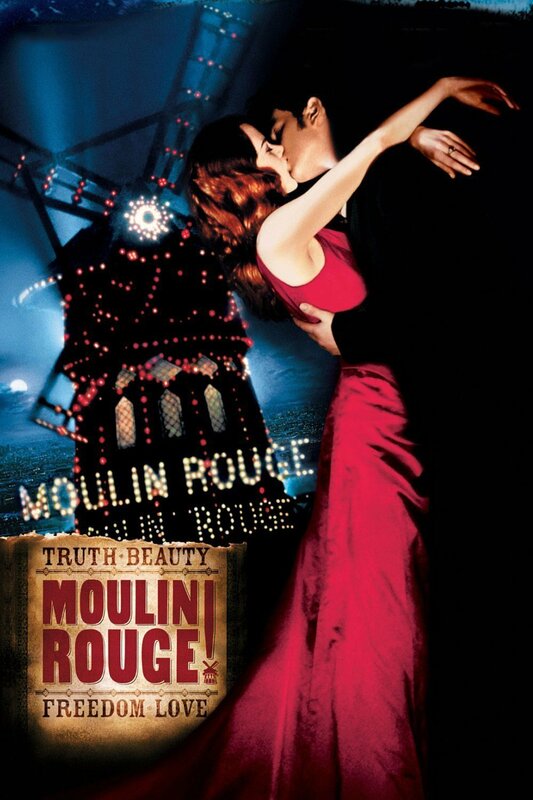 The film was shot in the musical setting of the Montmartre Square of Paris, quite fitting for a true love story! Paris When It Sizzles is a 1964 romantic comedy about a screenwriter who hires a young temp secretary, played by Audrey Hepburn. He starts to come up with various scenarios for his screenplay, called The Girl Who Stole the Eiffel Tower, which is based on their unfolding romance. Hepburn, as usual, is lovely! La Vie en Rose is a 2007 biographical musical about the life of French singer, Edith Piaf. The film is structured as a largely non-linear series of key events from the singer's life. Piaf's signature song will have you playing it during your next dinner party. Life through rose-tinted glasses! Do you have a favorite PARIS movie? Leave us a comment below!